The proposed HECI certainly appears as a more imaginative and effective alternative to the UGC. Debates on education in India have long argued for a systemic change to transform higher education. Recognising the urgent need for such reform, the HRD ministry has introduced the draft Bill for the formation of a new regulatory body — Higher Education Commission of Indian (HECI) to replace the University Grants Commission (UGC). Academics, across the country, are divided vertically on the issue. On the one hand, it is being described as progressive and far-reaching, on the other, it’s being labelled as regressive and promoting bureaucratic and political interference. But the truth lies somewhere in between. Perhaps, the most important section of this draft is Section 24, seeking to establish an Advisory Council (AC). The AC will work to identify issues of coordination in higher education. It is a visionary move in the direction of co-operative federalism in higher education, which was not there in the UGC system. States have so far had a negligible role in the formulation of higher education policy. The proposed AC, however, to be chaired by Union HRD minister, will have, among others, the head of all state councils for higher education as its members. The importance of this step can be understood when we consider that about 70 per cent of the universities in India are state universities, and 90 per cent colleges are under state governments. The Council would further benefit if, one representative each from FEDCUTA and AIFUCTO — the teachers’ associations of central and all state universities of India respectively, could be included. According to the HRD ministry, the guiding principles of this transformation of the regulatory set up include: minimum government and maximum governance, separation of grant functions, end of inspection raj, focus on academic quality and powers to enforce. One of the principles "the right to regulate and enforce" is a positive step forward indeed. The UGC was completely toothless. If a higher education institution (HEI) didn’t comply with its regulations/orders, UGC could, at the most, stop the grant. Moreover, it was helpless before the arbitrariness of private sector institutions. But HECI will have the right to shut down sub-standard and fictitious institutions which willfully violate regulations. Punitive provisions of fine and imprisonment, in case of noncompliance, are also there. Similarly, the end of "Inspection Raj" has also been announced. HECI will specify norms and standards to establish, commence or wind up academic operations of an HEI using an online e-governance module. Decisions will be taken in a transparent manner keeping quality standards in mind. All procedures would be online, and therefore in the public domain. The information would be available on the website of the HEI so that the public can get a complete picture and if necessary, make a complaint. Apart from this, Section-15 (4) (L) which authorises HECI to specify norms and processes for fixing of a fee by HEIs is another important provision. Its significance can be understood in the light of the exorbitant and preposterous fees that private institutions nowadays extort. We can expect some check now. The most controversial provision in the draft is separating grant functions from HECI. In principle, although, it’s only right that two powers not be invested in one body, yet the remedy would be worse than the disease as this is to be delegated to the HRD ministry. This will lead to various complications due to the dual pressures of political interference and bureaucratic red-tapism. It’s true that previously too the grant process was not untouched by political or bureaucratic meddling. 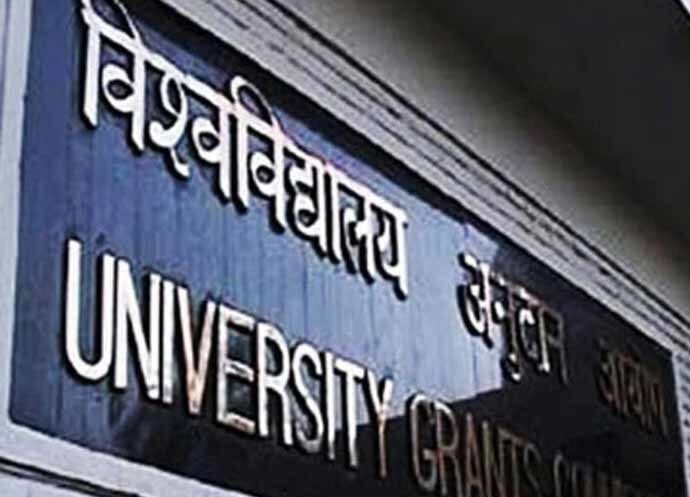 But being in UGC’s autonomous hands, grant activities ran somehow well. Budgetary allocations for projects, research or infrastructure in higher education can’t be done through the bureaucratic prism. The record of Indian bureaucracy is not very encouraging either. Whether the grant power remains with HECI or in a separate autonomous body (which must have a majority of members from academia), it surely must not be with the Ministry. Further, the grant process must be transparent, objective and codified which, however, was also missing in UGC system. The proposed composition of the HECI also raises questions. According to section 3(6)(a), an eminent academician and educational administrator with proven capacity of governance and building HEI can also become the chairperson. The danger of this provision is not unfathomable as, under its guise, powerful politicians, or industrialists having own HEIs, or a bureaucrat associated with the education department can occupy the chair. The resulting impact of such a move on higher education can only be estimated. It must be unambiguously laid down that only an eminent professor of a top university shall be the chairperson. It is also worrisome that there will be only two professors among 12 members of HECI, whereas UGC Act had a minimum of four professors out of 10 members. A minimum of five professors should be there. The selection process too needs rethinking. A search committee will prepare the panel, out of which the government will select the chairperson and other members. Such a selection committee, to avoid any political controversy, should be headed by the Prime Minister and must include Leader of Opposition in the Lok Sabha, the CJI and HRD minister as members. Another issue is that the secretary, HRD ministry, is a member of both the search committee as well as HECI, an obvious conflict of interest. The proposed HECI certainly appears as a more imaginative and effective alternative to the UGC. Nevertheless, there are significant concerns, addressing which could mount the chariot of Indian higher education on a new path.